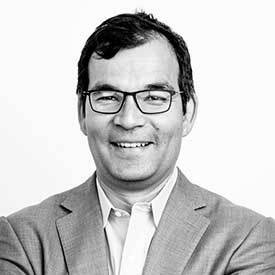 Manny Alvarez is General Counsel and Chief Compliance Officer at Affirm, where he oversees and manages Affirm’s legal and regulatory compliance efforts. Manny has dedicated his career to protecting consumers from harmful practices, previously serving as an Enforcement Attorney with the Consumer Financial Protection Bureau (CFPB), investigating the civilly prosecuted violations of federal consumer financial law. Manny joined CFPB from the California Attorney General’s Office, Consumer Law Section, where he prosecuted violations of unfair competition, false advertising and other consumer protection laws. He also serves as a volunteer board member of theBarristers Club of the San Francisco Bar Association and the San Francisco La Raza Lawyers Association. Manny holds a JD from UC Hastings College of the Law and a BA from Cornell University.